Pictures are available, PM or email with your # or email and I can send them. All guns listed as new are complete with boxes/accessories unless otherwise noted. All used guns are described as accurately as possible. If it doesn’t live up to my description, send it back. All guns ship FFL to FFL. All other trades will be considered but would have to be in my favor. -Glock 17, Gen4, 3-17 round mags, front serration model with factory night sights and extended controls- 475.00 shipped. Sako 85 Finnlight, 300WSM, Excellent condition will come in factory box. Has 18 rounds through it. Currently wearing a Leupold VX5HD CDS-ZL2, 3-15x44, Firedot duplex. 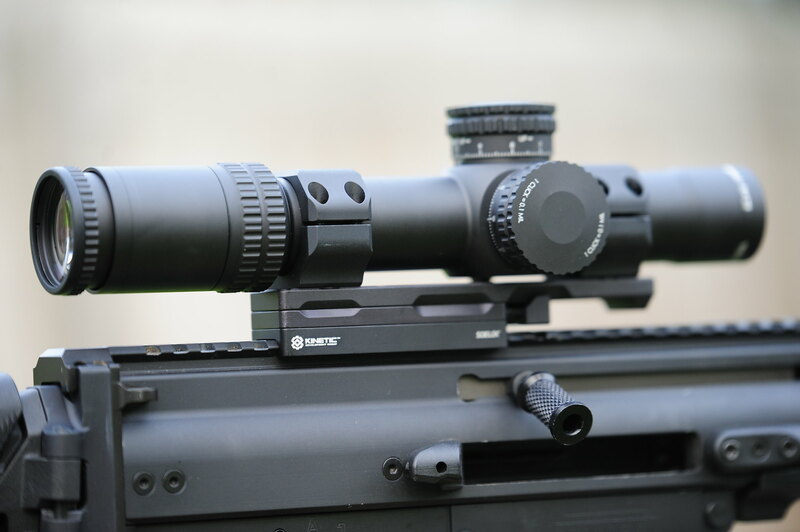 Scope is mounted in Sako 1pc Optilock ringmounts. I also have the box for the scope. 1100.00 shipped for the rifle. 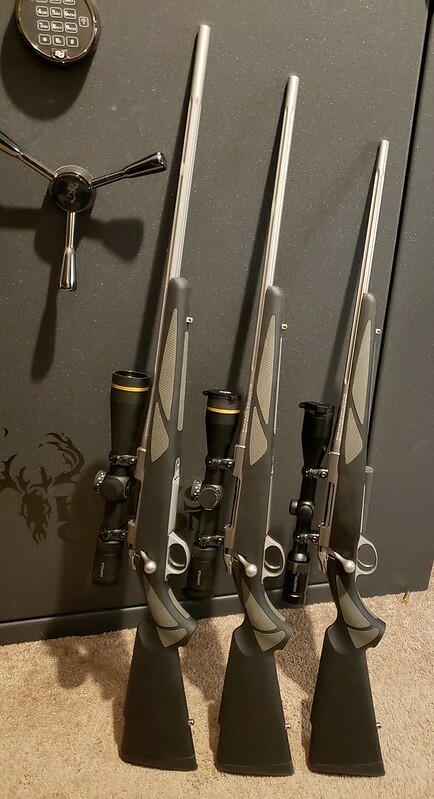 I can also add the following scopes to the rifle package for the prices listed if you arent interested in the VX5 currently on there. I had this previously sold and upon packing for shipment I remembered some blems/stains in the receiver. Not sure where they came from, they were there when I bought it. I tried wiping them off with CLP, no luck. Ive reduced the price from 1200 to 1100. Overhead lights make it look like blueing loss. Will update photos. Also have the stripped factory lower and all the parts to build it (minus mag catch assembly) with 1 mag and the factory stock as well. 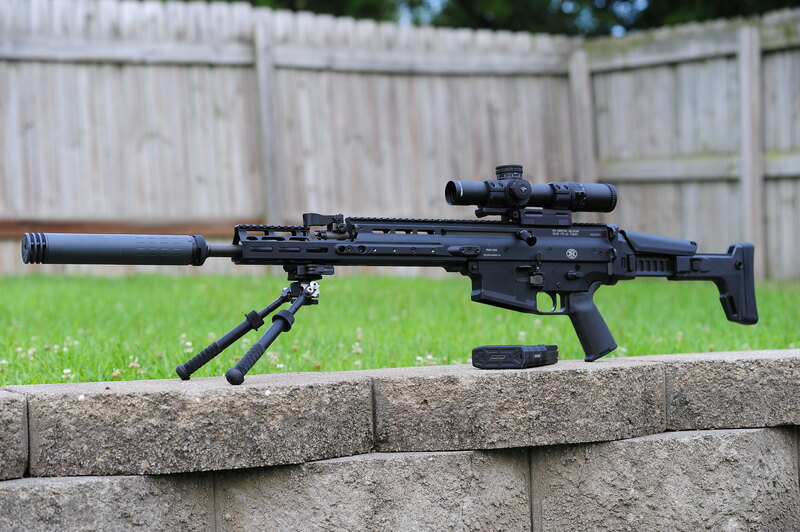 The Atlas bipod and silencer are not included but could be. 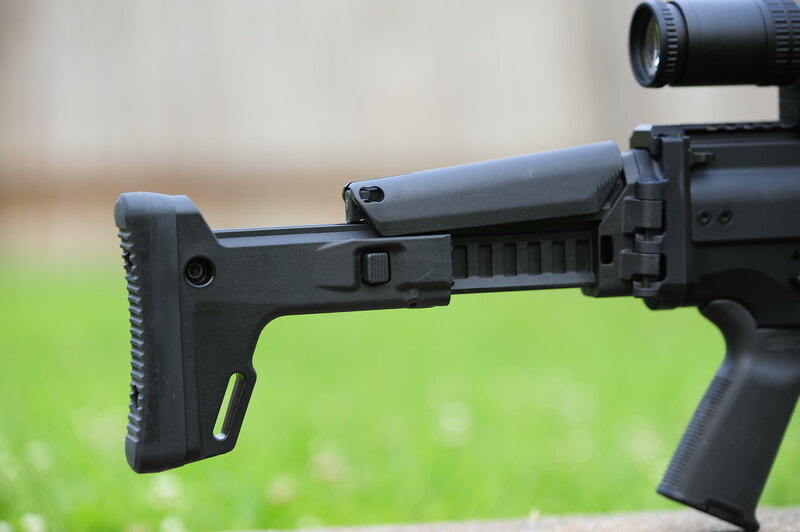 Has approximately 500 rounds through it. This is about as good as it gets for a complete SCAR package. Retail on this setup would be 6680.00. Im looking to get 5200.00 shipped. Will listen to offers but I dont have to sell it and honestly should probably wait until the next election cycle but feel free to send an offer. Trades: Not looking for trades, I will consider them but will likely have to turn around sell the trade item so any trade will be in my favor as Id have to flip it fairly quickly. Prices do not include shipping. Prices are OBO if im off base. I will use USPS flat rate boxes or First Class, whichever is cheaper. I'll cover shipping if you buy 75.00 or more. PS, If you find something priced lower elsewhere, shoot me an email with the the link and I'll see if I can match it! I will take the Super Commander. Love the Colts...I really need to get one, can't beat the quality for the price. I received my Super Commander today. Superb craftsmanship, razor sharp. Thanks for the good deal. warpig, damn carrying my favorite knives now? Please email me. I need another karambit and a stone wished La Griffe. Now a Hazard 4 dealer! Stay tuned. Sale on Emrson until Friday! New Emerson order landing next week as well. Gen4 Glocks should be in tomorrow. Website is still being updated but fully functional. There is an option for checks/MO, as always, we ship to Sigforum members the same day regardless of what method of payment is used. 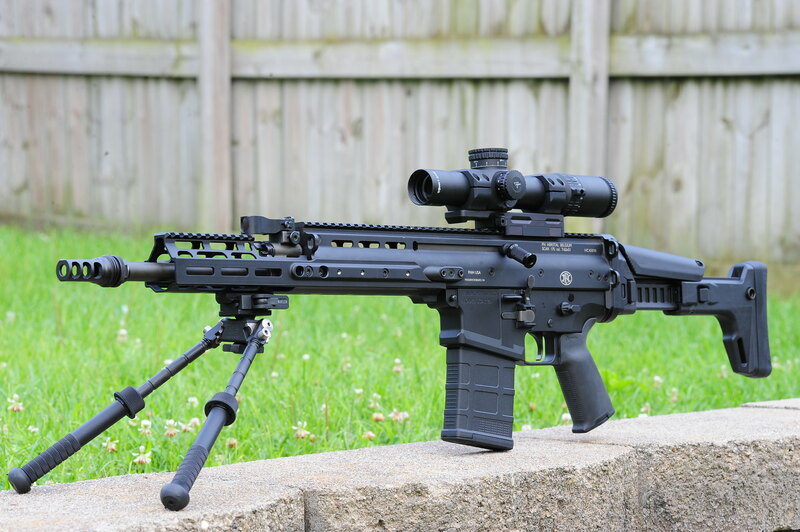 Looking for a specific gun, Eberlestock or Hazard 4 pack let me know! I know you don't need the bump but, I wanted to file this thread. Be well and may God bless your Grand Father. bump..had to tell you great job on the pics! Thats what I like to hear! I may have gotten a little overzealous on my initial order. BTT for a great guy! What do I want? A time machine. When do I want it? Irrelevant. I'm looking for an Emmerson Sheepdog, black spear point with serrations. Please email me with price and availability. Thanks for your help!